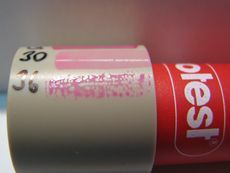 There are mostly requirements on activation of the surface in connection with adhesion enhancement of the upper layer such as glue, paint, printing ink etc. Activation is realized using low pressure plasma with batch system or using atmospheric plasma for continuous processes. Applications can be found in the area of automotive, mechanical engineering, textile, packaging industry, products for medical purposes, electro technical industry, etc. PE, PP, TPU, ABS, PTFE, PBT, PEEK etc. 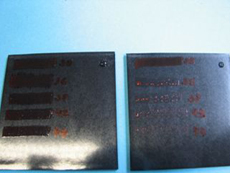 Examples of different treated material surfaces and measurement of contact angle before and after treatment you can find in the section Testing methods – Wettability of 3-D objects surfaces. Enhancement of surface energy of the plastic unit control body before gluing with aluminum cover part using silicon – optimization of pretreatment technology for both parts to increase adhesion forces. Requirements: glued bonding has to be resistant to mechanical stress and show particular elasticity to compensate different deformations both parts bonded together. 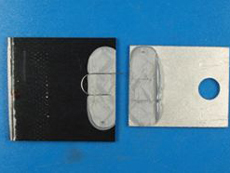 Plastic samples were activated by plasma treatment and passed for tests with different types of glues and different types of pretreatments of the aluminum part. Values of surface energy on untreated samples reached 38 mN/m and after activation and before application of glues in different locations of the Europe also after a few days were 44 mN/m. Stress at sheer was measured as result of the whole testing and also appropriate elongation of individual testing samples till the destruction of the bonding. 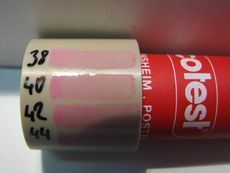 The most suitable combination of material and type of treatment was recommended on the bases of these tests. Testing of the real parts was the next step and project was directed into serial production. Enhancement of surface energy of the PTFE seal to increase adhesion between PTFE and EPDM rubber – activation of the surface before gluing and following pressing and vulcanization. Measurement of contact angle before and after treatment you can find in the section Testing methods – Wettability of 3-D objects surfaces. 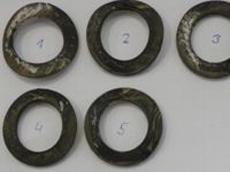 Results: Very resistible bonding between PTFE sealing and rubber was reached. Reached values of strength were corresponding or higher than values reached by chemical pretreatment before gluing.